Will global warming make us fat? Climate change will make it harder to eat healthily, say CSIRO senior research scientist Jaci Brown and Western Sydney University professor Hilary Bambrick. While the precise local impacts of climate change around Australia still present some uncertainties, it is looking likely that our suitable agricultural areas will shrink. This potentially will reduce the supply of local fresh produce, wheat and other grains. Further climate research will allow us to understand this better and adapt appropriately. Warmer temperatures and increased atmospheric CO₂ can cause some plants to grow more quickly, but this may mean fewer micronutrients in each mouthful of fruit or vegetables. It also allows some of the weeds and pests to flourish. As average temperatures rise and heatwaves become more common, heat stress on animals will challenge our milk, egg and meat supplies. Seafood is a potential alternative as long as it is sourced from sustainable fisheries – and is prepared as a healthy option (steamed or grilled, not deep-fried with chips). But the marine environment isn’t immune to climate change either. Increasing ocean temperatures and acidification will probably alter species abundance and distribution and bring further challenges to sustainability. As Australia’s population grows and its food-producing regions diminish under higher temperatures and increasingly uncertain rainfall, fresh produce may become less reliably available and more expensive. We may come to rely more and more heavily on processed foods rather than fresh produce, and turn increasingly to imported foods. Greater reliance on global food systems means Australia’s food security becomes more precarious, increasingly subject to the whims of international markets. Our food also becomes potentially less safe: the more lengthy and complex the chain of supply, the more opportunities for contamination and the harder it becomes to trace the source – not to mention the greater food miles and added environmental pressures from transporting foods vast distances. 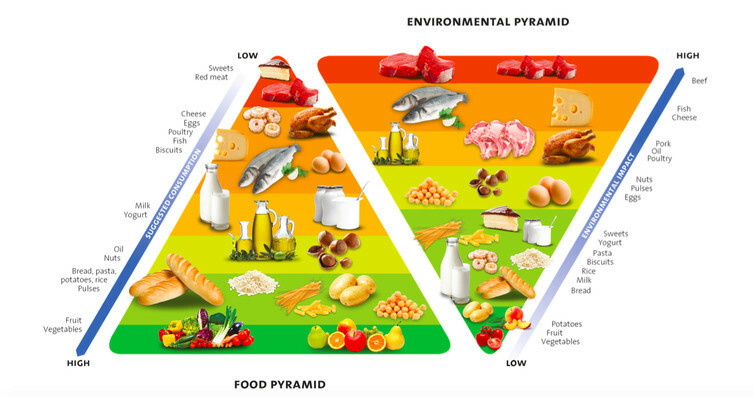 Not everyone will experience the same dietary pressures as the world warms up. Those with plenty of cash may still choose to buy the more expensive fresh produce – a crunchy apple might become a luxury! At the same time, this group may also be influenced by ethical arguments to buy more sustainable agricultural products, choosing perhaps wallaby or rabbit over a juicy steak. Time-poor low- and middle-income earners will face a tougher time. 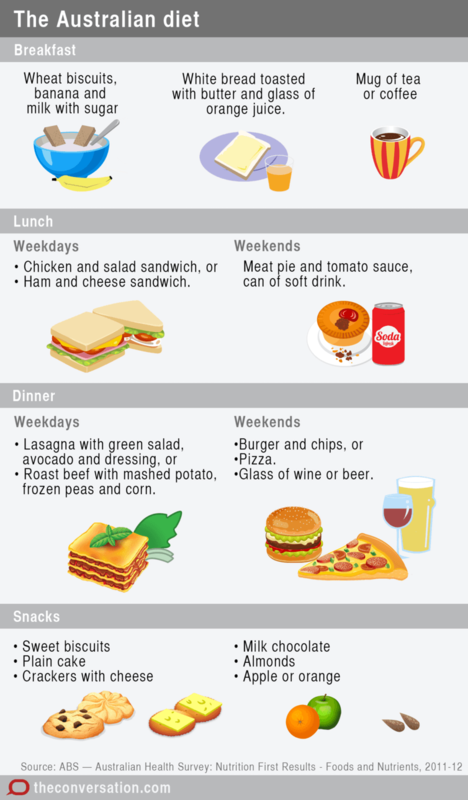 Processed foods are cheaper by the calorie, and a sugary, fatty muesli bar is sometimes easier to pack in a lunchbox than a bruise-prone banana or apple. People on lower incomes and with lower educational attainment are more likely to be overweight or obese. As accessibility and affordability of fresh food decline, this same group could be increasingly vulnerable to obesity and related health issues. It is not all doom and gloom, though, for Australia’s fresh food production. Australia is well known for its innovation and already farms are becoming more efficient at producing more food with less water and developing technologies to deal with increasing climate pressures. Some are already taking up the challenge to eat a healthier diet which is more sustainable. A necessary complementary approach would be to reduce food wastage at several points along the supply chain. Households throw out about a fifth of their food, largely through bad planning when we do the shopping, cooking too much each mealtime, and perhaps being overly cautious about whether food has gone off. Supermarkets elsewhere are starting to be penalised for food waste. Such measures here, along with the developing interest in buying “ugly food”, also have the potential to save our increasingly precious fruits and veggies from the rubbish bin and help keep healthy eating affordable. This article resulted from the Australian Academy of Science 2014 Theo Murphy High Flyers Think Tank on food and water supplies. You can read a more detailed discussion here. Jaci Brown is senior research scientist, CSIRO and Hilary Bambrick is professor and chair of population health, Western Sydney University. This article was originally published on The Conversation.